Dr. Nedergarrd goes on to say that the reason it is important to get a good night's sleep is that the brain sweeps itself clean of waste proteins that are toxic to brain cells. Which means that this could explain why we don't think clearly after a sleepless night. Research in adaptive sleep technology has found a way to enable us to sleep better, provide more rest and assist the processes of physical and mental recharging that form the basis of sleep. Improved support for the musculoskeletal system, improved temperature control and additional enhancements in comfort will contribute to quality sleep. This is significant because according to many medical authorities, quality sleep may be the single most important factor in maintaining long-term health. Regular sleep on an adaptive sleep system can contribute to better mental function such as improved learning ability and decision-making faculty, improved memory, greater alertness and increased mental performance. Quality sleep can also support physical health including resistance to/recovery from fatigue, improved immune system function, better ability to resist premature aging, increased ability to resist stress, and better-regulated hormone production that can help prevent weight gain or obesity. Creating a healthier, happier life doesn't need to be complicated. By simply incorporating an adaptive sleep system, my recommended choice is the Kenko Naturest Sleep System, into our bed and adding the sleep tips suggested in my previous articles, we will begin to create our personal revolution that will change our culture, our thinking, our workplaces, and our lives. Please share this Third Metric article with your friends and significant others. To find out more about the Third Metric and Seep read Thrive, Chapter One, 'A New Blueprint: Time to Renovate the Architecture of Our Lives.' 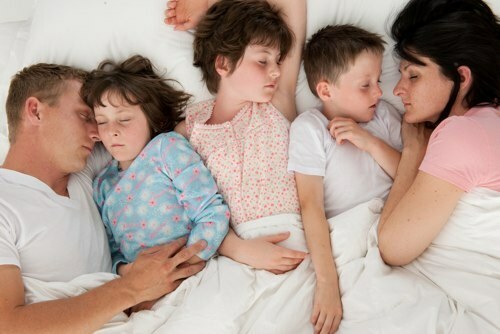 To find out more about the Kenko Naturest Sleep System contact Jackie at; thrive.huffpost@gmail.com.